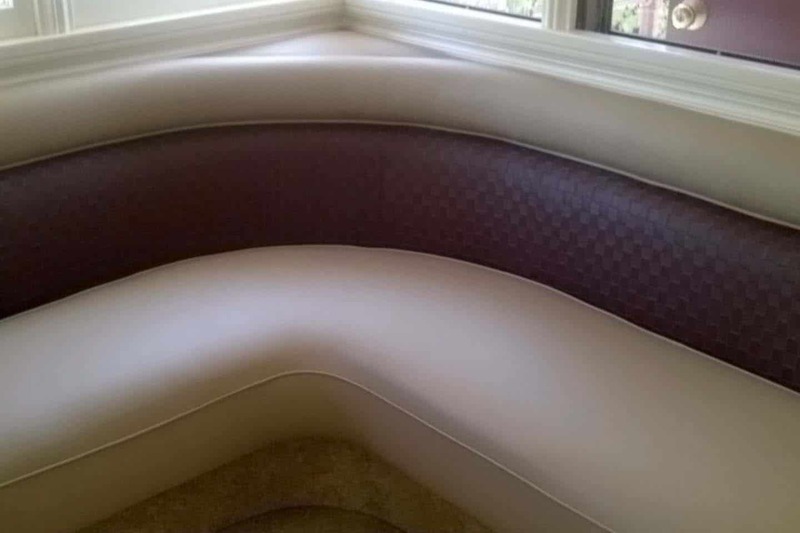 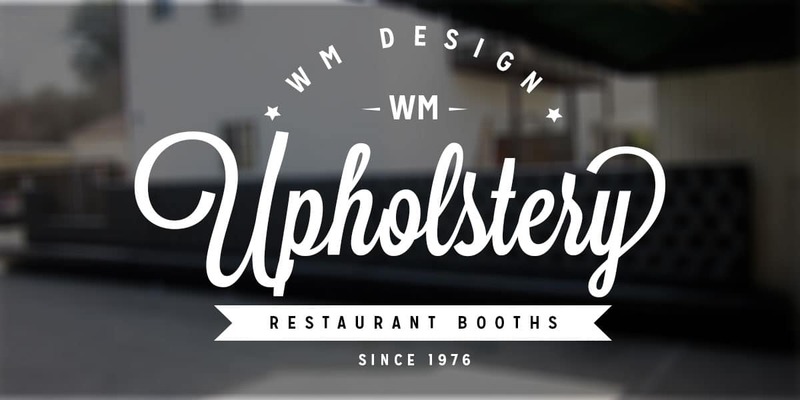 WM Upholstery services provide full custom restaurant seats reupholstery in Van Nuys CA. 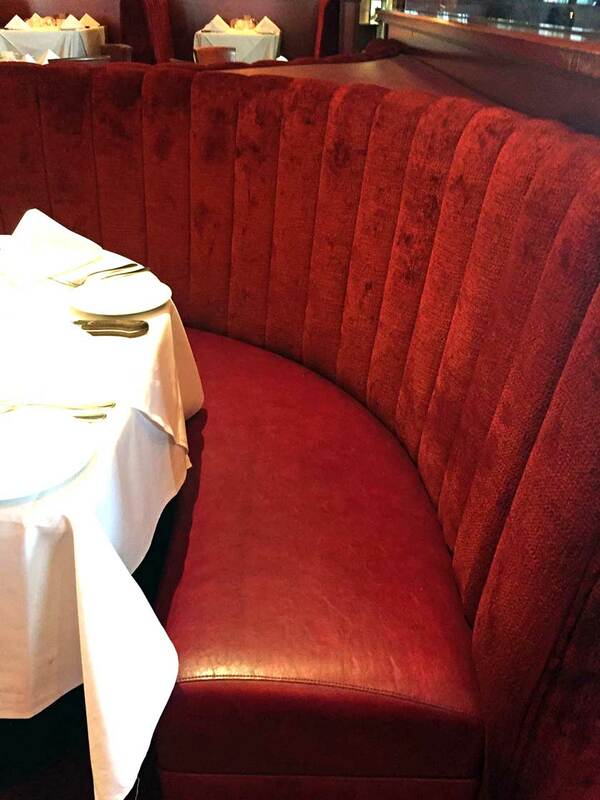 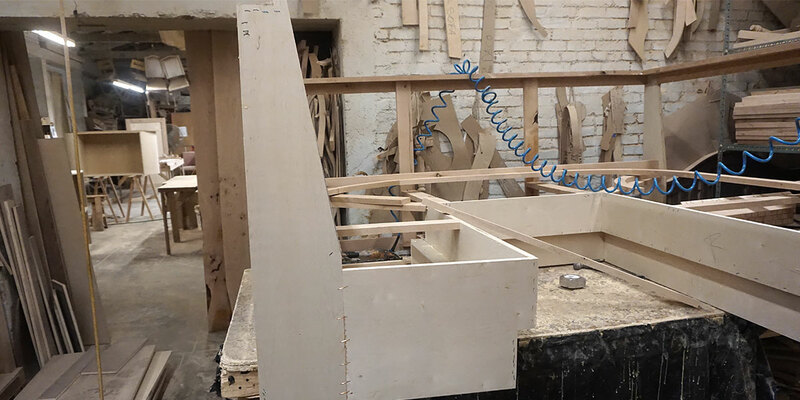 We upholster all restaurant seats such: chairs, booths, restaurant walls, hospitality sofas and chairs. 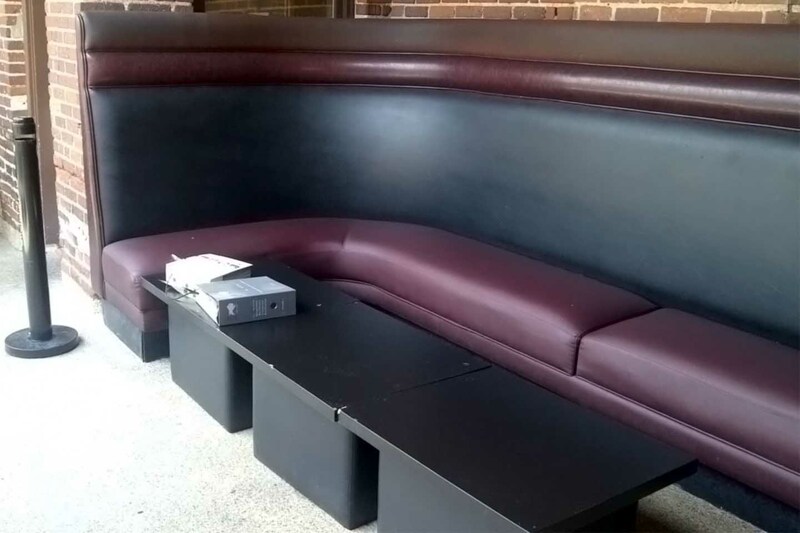 New restaurant booth design for the sportsmanloge hotel restaurant located in studio city,this is the corner section of the restaurant with the right measurement provide by a designer the project came out amazing.